African Art : is it yet an Eldorado ? Some highs, some lows. This could summarise the trend regarding African art right now. After 34 years of activities and exhibitions, the Musée Dapper in Paris is closing its doors. The lack of visitors in a particularly difficult security context is the main cause. The Dapper Foundation, aiming at supporting African art from yesterday, today and tomorrow will however carry on its mission through partnerships worldwide. 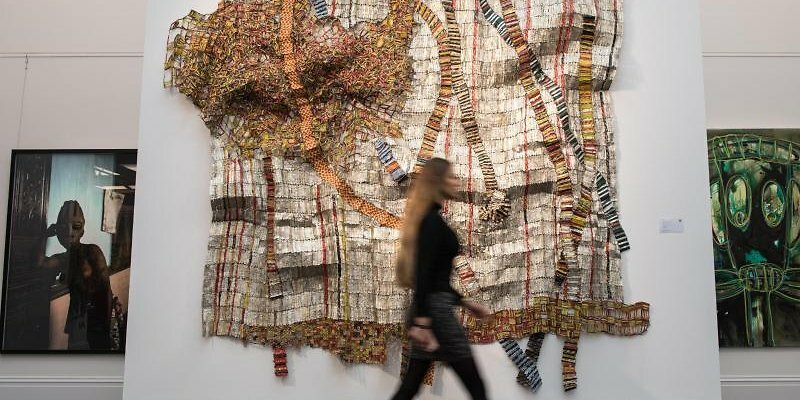 In London, Sotheby’s just had its first sale of Modern and Contemporary African art after 18 years. The results are rather sour, as every third lot did not find a buyer despite the low price ranges. Moreover, the total of the sale reached £2.3 million hammer price mainly thanks to lots by internationally established artists. The top lot by El Anatsui, Golden Lion for Lifetime Achievement of the 2015 Venice Biennale, fetched £600’000. A painting by South African star Irma Stern sold for £340’000. Yinka Shonibare, nominated to the Turner Prize in 2004, has seen his work go for £180’000. Several lots sold for ca. £15’000 and below. Will there be another Sotheby’s sale before 18 years ? Probably, as Africa’s economy is gradually improving. Whereas Sotheby’s was testing the waters, there is still some way to go before they open an outlet on the Continent. And there are probably two main reasons for this : Africa comprises many countries and cultures. As a result, African art per se is a vast but vague domain. Collectors from Ghana won’t necessarily buy what collectors from South Africa or North Africa will buy. Which leads us to the second reason : these collectors are rare. The lack of infrastructure dedicated to arts on the continent has to be improved to create a new generation of local clients sustaining the African Art market. In the New-York Times from May 20, Chika Okeke-Agulu asks if “Modern African Art is Being Gentrified”. The question of if African art is a good investment also frequently hits the headlines. The current exhibition at Fondation Louis Vuitton, “Art/Afrique, Le Nouvel Atelier” might be a first step towards the answer. Image : El Anatsui (b.1944, Ghana), Earth Developing More Roots, 2011, aluminium bottle caps and copper wire, 320 x 338 cm. Photo credit : Sotheby’s. ← Is your collection properly insured ?